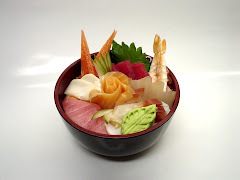 The Foreign Wife, Japanese Husband portion of the Chirashi blog is undergoing a redesign in order to become an e-book! More details will be coming soon. 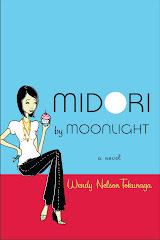 In the meantime, if you're the foreign wife of a Japanese husband and would like to be interviewed for this project, write me at: info (AT) WendyTokunaga DOT COM. Yoroshiku onegai shiimasu. Just want to say your blog is very interesting,as a big fan of Japan and living here in Yokohama. Alex, appreciate your nice comment. Which reminds me that I've neglected this blog. 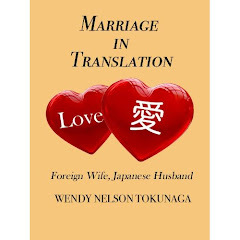 Have to do something about that, but am also hoping to release Marriage in Translation e-book by the end of September if all goes well! 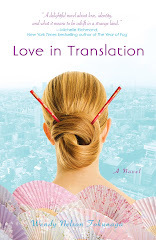 out of curiosity, is it a sequel to love in translation? Thanks for asking, Sveta. No, this is a non-fiction book with interviews of foreign wives of Japanese, some of which have appeared on this blog. But there will be a lot of new material as well.